Learn how to create a free-standing lace tea light holder with us! 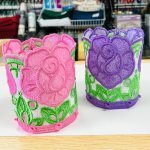 This class shows you the free-standing lace embroidery technique, plus will help you venture into creating 3-D lace projects. In class we will talk about the stabilizer to use and discuss the general technique. 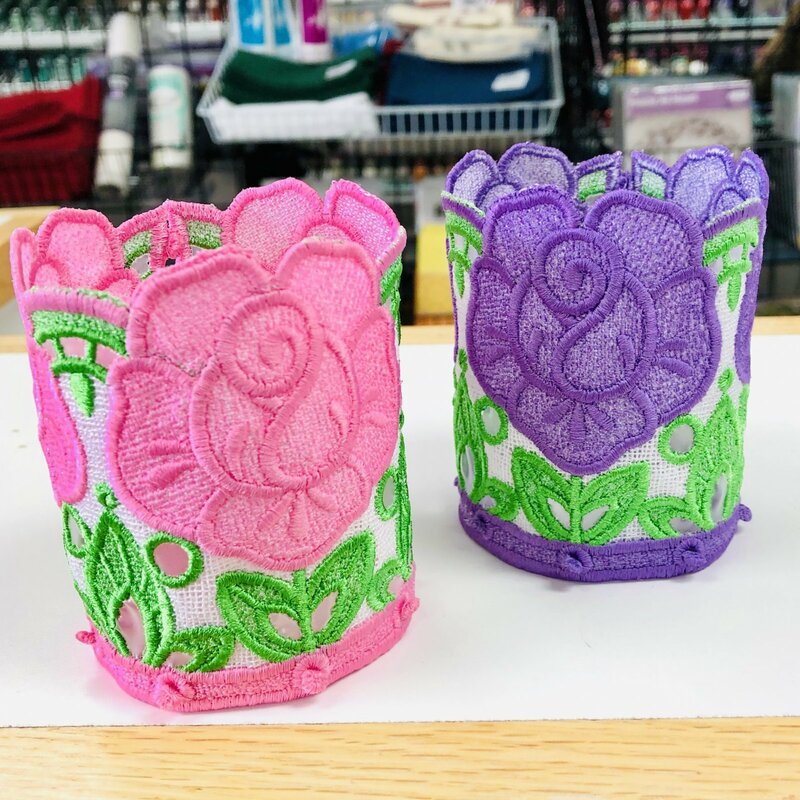 You will embroider your own tea light holder during class! Bring your machine, embroidery module, large oval hoop, regular embroidery supplies and threads. You will need to purchase OESD?s ?Spring Tealight Holders? embroidery design pack (available here). Stop in to see what threads you will need! Plus design pack and supplies.